Components for .NET, Delphi and C++ Builder VCL, ActiveX and as DLL. WPCubed supplies developers with powerful components to process text, such as rtf or DocX and to view, print and modify PDF documents. Support is available in English and German. 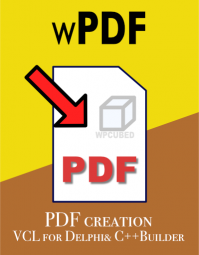 WPCubed also offers you powerful PDF tools, allowing you not only to create new PDF files, but also to view, print and manipulate existing PDF files. The PDF creation VCL integrates perfectly with WPTools and also with many other reporting engines. This is because internally it is based on a universal metafiles (EMF) to PDF converter. Use WPViewPDF not only to view and print PDF files, but also to arrange pages, extract text, add stamps, make annotations and much, much more. 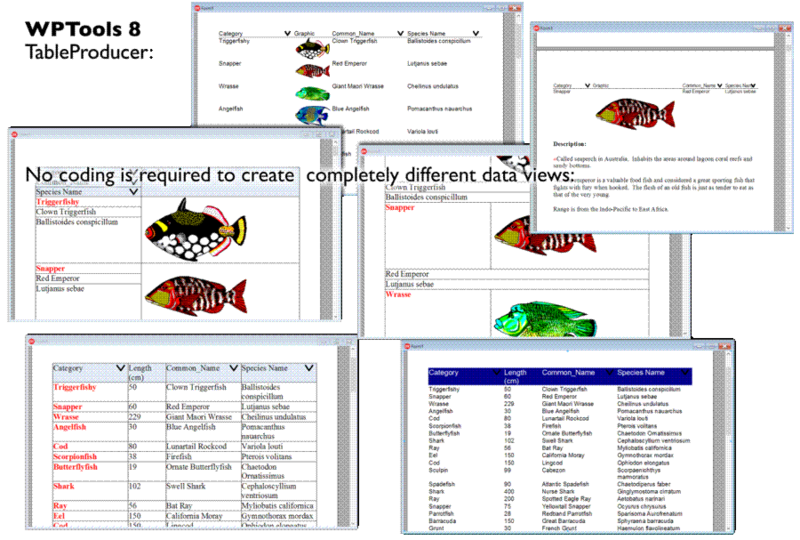 WPViewPDF is a powerful PDF-viewer component to display and print PDF files. It can be used with Delphi, C++Builder, .NET, VB and other IDS. You will need a PDF viewing component if you want to embed a PDF display into your application or if you need to load PDF data from memory. For example, use our WPViewPDF viewer to display digital copies of files which were printed by your application. Our tools integrate seamlessly and ideally are used together (wPDF, TextDynamic, wPDFControl) to create the PDF data to be displayed. Nevertheless, WPViewPDF also works with many other PDF creators. 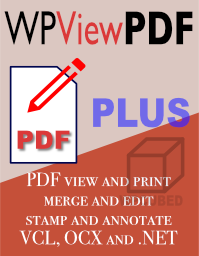 WPViewPDF PLUS is also able to append PDF files, apply stamps and delete or reorder pages. With WPViewPDF PLUS your PDF forms can be filled interactively: The user can edit the text fields and click the checkboxes. New features in Version 4 include adding text highlight annotations, popup annotations, text annotations and also adding new text fields widgets and data fields to create data forms. PDF drawings and watermarks which are read from other PDF files, can be added to selected pages or the entire document. With the VCL and .NET controls produced by WPCubed you can offer your customers state-of-the-art embedded word processing – integrated directly into your Delphi VCL or Visual Studio C++ or .NET application. If you are a Delphi developer you want to have access to object pascal code that you can understand and modify as required. 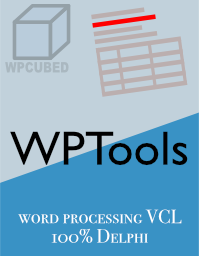 WPTools is a true VCL and a powerful word processor integrated into your application with 100% source code available (PRO version). Optional DocX reading and writing are also available. WPTools and TextDynamic are popular components used to create texts, such as contracts or invoices under program control. Documents can be loaded and saved as RTF, HTML or in the “WPTOOLS” format. Optionally import from and export into DocX format is possible. An export to PDF is possible and is very simple to implement. Do you need to present the user the result of a database query and also print it? With WPTools’ “TableProducer” the user can not only browse the result of the query, but also change the appearance of the table and the data cells and print it in WYSIWYG manner. This feature is included in WPTools 8 Bundle and Premium editions. Our word processing products are well known for their powerful mail merge capabilities. But did you know that you can use our word processing engine to create reports, such as invoices? To do this you can create a template which uses bands and groups to create tables and lists by repeating the output of a row of data fields. View our demo application which highlights the VCL products WPTools, wPDF, WPViewPDF and WPReporter to show how the reporting, word processing and PDF export and PDF view can be used in one application here: “WPCubed Calculus”. Our word processing engine is not based on the Windows® “Richedit” DLL, but has been created from scratch using optimized code. Consequently it does not require any 3rd party DLLs to operate. Additional options include internal spell checking, reporting and optimized PDF export (which preserves links and bookmarks). Our components are also suitable for server side text creation and manipulation (ASP.NET 32/64 bit). 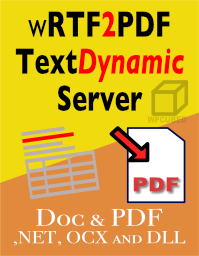 In particular RTF2PDF TextDynamicServer. TextDynamic® 7 is a royalty-free word processing and reporting control which can be embedded into applications. The new version 7 includes a 32-bit and 64-bit word processing engine DLL. TextDynamic7 also includes a managed .NET wrapper DLL (C# source code is included in the full version). This component can be used in WinForm applications developed with .NET development tools, such as VisualStudio. Also included in the price is an 32-bit ActiveX edition to use TextDynamic7 in VC, Visual Basic 6, and MS Access. Furthermore, you can use TextDynamic7 in C++ Projects without any wrapper. Simply link an easy-to-use method into the engine DLL and you get a fully functional editing window. The VCL product wPDF 4 was one of the first to offer a drawing surface (TCanvas) to create PDF files using standard GDI methods. The vector drawing and text are not converted to a bitmap, but are preserved in PDF format. This avoids quality loss when PDF files are printed and reduces the size of the files as well. wPDF 4 is also able to create “Type 3” fonts, thus helping to keep your PDF files smaller. This is especially useful with Asian fonts since only the actually gylphs used are embedded. 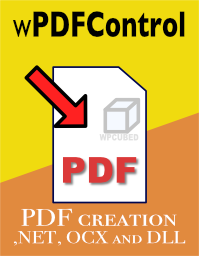 The product wPDFControl implements our reliable wPDF technology and can be used with Win32/Win64 .NET applications. An OCX is included for use in Visual Basic programs. Since the engine DLL can be accessed using the provided C++ header files you can also use it in VC applications without the need to import an ActiveX interface. wPDFControl Version 4 supports encryption, compression and font embedding, also for type3 fonts. You can use it to convert metafiles (EMF) to PDF or use its device handle (HDC) with standard GDI API calls. 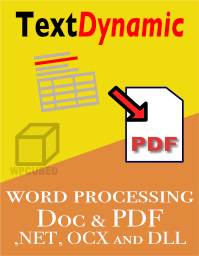 The product wRTF2PDF / TextDynamic Server is based on the same PDF engine, but also inherits the word processing power of TextDynamic. It is a powerful tool to create documents on a server, not only in PDF format but also as HTML, XML, RTF and now also DocX. It is a real pleasure when you make an expensive purchase like WPTools and have it completely blow you away, totally exceeding your expectations. My mistake – it’s not expensive at all. Instead it is a very fairly priced premium tool that is going to be of enormous help to all of our clients. Thank you for such an amazing product. 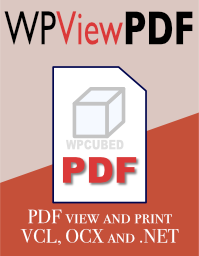 Since Version 1 until the current Version 6 we use in this application [Scan2PDF] the PDF components of WPCubed. Already end of 2000, when we compared several PDF components, the ones of WPTools prooved to be ideal. Easy integration and high stability of the components was not only been told, but also provided. The service of WPCubed was and is excellent. Before we released Help & Manual Version 3 we tested more than a dozen PDF tools. …. We finally went with wPDF from WPTools. It meets all our requirements, is very reliable, extremely fast and integrates nicely into the program. If you need to create PDF files natively, wPDF is the best tool you can buy for money. For our business software for tradesmen we needed a tool to display the invoicing information just like in a modern text processing program. With WPTools and the outstanding manufacturer support we were able to rise to the challenge and find a solution. At present we do not know of any other tool which would be able to cope with such a complex task.